We enjoyed being here. The villa is lovely. The view is perfect and having the pool to ourselves priceless. The staff is very kind. Thanks for the attention to detail! Stayed in Seaview twice. Love it here!! Great heated pool & Buck Island view. The PERFECT honeymoon…The villa had everything we needed, wanted and more!. Most nights (and days) were spent here, enjoying, the pool, views, breezy & stocked kitchen. When we ventured out, our favorite spots were: Point Udall at sunrise, Cane Bay- Coronas, snorkeling, Blue Water Terrace- lox of lovin, Smuggler’s Cove Beach- private walks. This place is exactly what we needed to take a break from our life- running a restaurant 24/7…the owners obviously love the Villa and pass on the joy to their very lucky guests. CAN’T WAIT TO RETURN!!! Seaview was perfect for our needs and the heated pool was wonderful! If I could make suggestions: Llewellyn’s Charter to Buck Island was amazing. 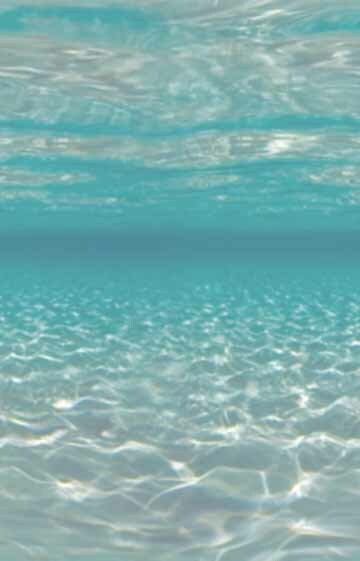 Cane Bay & Rainbow Beach are truly beautiful and great for swimming. The staff at Villa Madeleine was amazing, kind, helpful; good people!! All of the locals we met have been wonderful to us. Our 3rd time to STX, 2nd time to Villa Madeleine & 1st time to Seaview. Thanks for sharing your home with us. We loved it. Especially the heated pool!!! This was our second visit to St Croix. We absolutely loved our stay at Seaview. It was like our home away from home with every comfort we could imagine. We hope to return. We had a wonderful time. Hi Ann, we want to let the owners know how much we loved staying in their villa. Everything was so comfortable, and the views and heated pool were priceless! We used the pool often many times a day, couldn't get enough of it! Ann, your coordination was perfect, and Charles was always there to help. Wow! Fantastic place, well appointed, had everything we wanted. Best vacation of our lives. Can’t wait to return in 2018. First time here for our honeymoon and everything is beautiful. Love it here ! Loved this place. Everything first class. Came for 2015 St. Croix Ocean Swim. SeaView is the perfect retreat place. Beautiful, Comfortable, Perfection! Loved It, Thank you! Amazing Place! Perfect for our honeymoon. Everything here we needed! Great Views. Loved the Buccaneer and great food at Blue Water Terrace. We had a wonderful time! Love the amazing view and relaxing by the pool. The Beach at Sand Castles is awesome. We never want to leave. Thanks!! We had a wonderful stay at Seaview. Thank you for sharing your St. Croix home with us and we look forward to returning in 2016! View is a charming villa, decorated beautifully and supplied with anything you would need on a vacation. The bedroom is huge, with a very comfortable bed and a great view out to the pool, and we loved the large open shower. Probably best of all was the private pool. We were so lucky to find a place with a private pool and we used it often. The location is great, on the quieter east end and up the hill from one of our favorite restaurants, Duggans. We'll remember the breezy days we spent here and hope to return to Sea View soon. The view of Buck Island is surreal it is so beautiful. We only wish we had brought our binoculars so that we could watch more of the boats coming and going. The photos of the villa are spot on and accurately depict the rooms, amenities, etc. the decor is "sophisticated island" without the usual glaring tropical colors. All of the furniture is high quality and I especially appreciate the lovely, clean dressers in the master bedroom. The linens are very nice and the towels (there are tons of them) must be brand new as they are plush and large. The vanity in the master bedroom is relatively new and is of high quality with lots of drawe and counter space. And everything is so clean and fresh that you don't mind storing your items there. All of the Villa Madeleine kitchens are small but Sea Views is very updated as the pictures show. It works fine for the two of us and is very well equipped. The Villa Madeleine complex employs quite a few maintenance staff and there is a good sense of security. We like to walk in the afternoons and have found the area around the villa to provide a good variety of strenuous walking to do. We even hiked to the top of Goat Hill near pt. Udall (very strenuous at spots) and would highly recommend this hike for a fabulous 360 view of the island. The outdoor area of the condo is not huge but was perfect for our needs. We loved lounging in the pool using the floats provided. Before arriving, we did not realize how important the advertised heated pool would be but we met other renters who couldn't us their pools because they were too chilly. Ours was delightful. The grill is of high quality and we used it quite a few times. Wonderful trip..Amazing Villa! Didn't want for a thing!! Buck Island Breathless!! Perfect!! The perfect place for our anniversary!! We love St. Croix and the Villa. Hope to come again soon. This is my second stay at Sea View and once again it did not disappoint. The villa is immaculate and I love the special touch of the soft classical music playing upon arrival. Love having my own private pool and the view of Buck Island is breathtaking. The villa is on the quiet east end of the island and it is quite peaceful and serene, anyone looking for an escape from the real world would do well to book a stay at the wonderful Sea View Villa at Villa Madeleine! 1st time to Villa & St. Croix- beautiful place, very relaxing!. It was an easy decision to return to both the Island of St Croix and the SeaView at Villa Madeline. Although we have been there on two other occasions, we wanted to return to this beautiful island and the SeaView because it really Is a piece of paradise. The Villa itself is So beautiful and immaculate. . It's very comfortable and nicely decorated. There are plenty of things to do on the island or you can relax and enjoy your private pool. The beaches are beautiful and there are several to choose from on the East End or take a drive to the spectacular Sandy Point near Frederiksted. Shopping and great dining are also just a short drive to Christiansted. 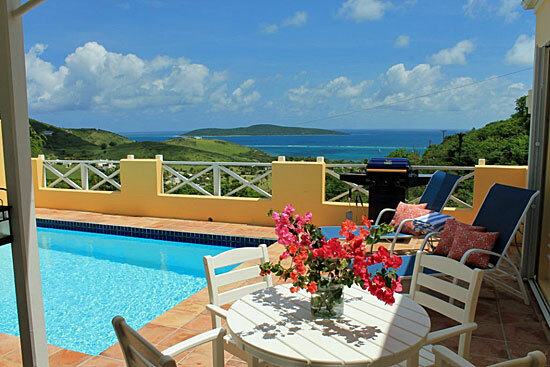 We highly recommend this Villa and guarantee it will be hard to leave ST Croix and nearly impossible to find a better place to stay than at SeaView at Villa Madeline. Third year in a row that we have stayed at Villa Madeleine. This was our first at Sea View - this 2 bedroom villa is more updated, new appliances, electronics, nice dishes, etc. View is beautiful - weather was great! Everything worked. Anne, the villa renting agent is exceptional. Answered all our questions, recommends dining places, etc. Seaview has an amazing view of Buck Island, comfortable living, sleeping, and cooking areas, and has been decorated and stocked with an amazing attention to detail. The private pool is delicious and the a/c works very well. We were a family of four and the villa was perfect for us. We had cocktail hour every evening, enjoying the pool and view. We even BBQed there one night. We got all of our necessities like food, drink, and toiletries at Good Spirits, which is a bar, restaurant and convenience store right down the hill from the villa. We gave them a list and they had everything ready for us upon check in. Good Spirits has live music at night and consistently awesome food and drink. Best burgers, pulled pork, brisket, and smoked turkey around. Painkillers are the bartender's specialty. The location of the villa was quiet and private. Charles, the villa manager, was very welcoming and informative and met us at the airport so that we could follow him to the villa. A rental car is a must on this island. It was easy to pay for and reserve the villa and everything was as promised and pictured. The appliances, TV's, and furnishings were all top notch. Cellular phone service is spotty at Villa Madelaine but WIFI reception is a little better at times. They provide you with house phones for local calls, which come in handy when your cell phone won't work. But, this is a problem all over this island. There are beaches close by and a casino on the back of the hill. We will be back and will definitely stay here again. In fact, so will all of our family and friends. We compared and saw many of the other villas in this same complex and Seaview was the best value, considering its location, furnishings, and updates. Thanks for keeping up the place and for providing such attention to detail. We also recommend a snorkeling, sailing trip with Llewellyn Charters out of the St. Croix Yacht Club. It is five minutes away from Seaview and should be on everyone's bucket list. The perfect place for our honeymoon!! Couldn�t have asked for better accommodations!! Staying at Seaview Villa at Villa Madeleine was a luxury getaway that was like staying in my own private Caribbean home. The amenities were terrific, the villa came equipped with everything we could have needed plus some. Great restaurants were nearby and the historic town of Christiansted was nearby for shopping and exploring as well. The private pool and patio with a view of Buck Island was awesome! Will definitely recommend to all my friends. Do make sure you rent a car, it's a necessity for getting around the island. What a great place & great view! Thank you! I rented the Sea View Villa for my stay on the island May 4 � 11th. What a charming villa. It is located in a beautiful corner spot with wonderful views of Buck Island and the water. The Villa is decorated and furnished in a manner that ensures instant relaxation and no worries for being a guest, from the color scheme, to the type of furniture, to the finishes, the kitchen, the cleanliness etc�. I was working while on the island, but every moment of my time in the villa was wonderful and I would highly recommend for someone wanting a place that you can both enjoy and relax. I enjoyed every evening soaking in the beauty of the evening skies and wine/cocktails/appetizers with friends. The relaxed setting around the pool made for special conversations and memories to last a lifetime! Thank you, again, for making such a wonderful place available. Thank you for this wonderful relaxing week. Seaview exceeded our expectations, the view is stunning, accommodations are comfortable & so well equipped, with real attention to detail. A beautiful villa on a beautiful island. Wonderful place to spend our honeymoon! SeaView lives up to its name and the pictures don't lie. The simply, yet tastefully, furnished villa was a home-away-from-home for us. The amenities were spot on - grill, beach chairs, beach towels, cooler (and ice packs!) and even a lime juicer (among other items in the well-appointed kitchen). The private pool and patio was a great place to relax any time of day. We can't wait to go back.